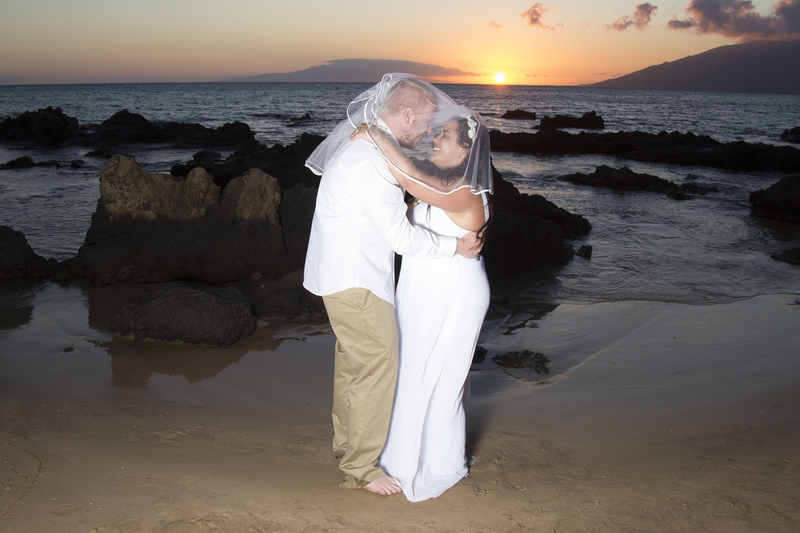 Anna and Michael came to Maui, from Vancouver, Washington for a romantic, beach wedding. They chose the sunset for its beautiful light and colors. Summer sunsets on the beaches of Maui are very magical indeed, warm and long, the perfect ambiance for romance. Rev. Ayesha Sandra Lee performed a wedding ceremony, in which the couple celebrated their love and their vows. 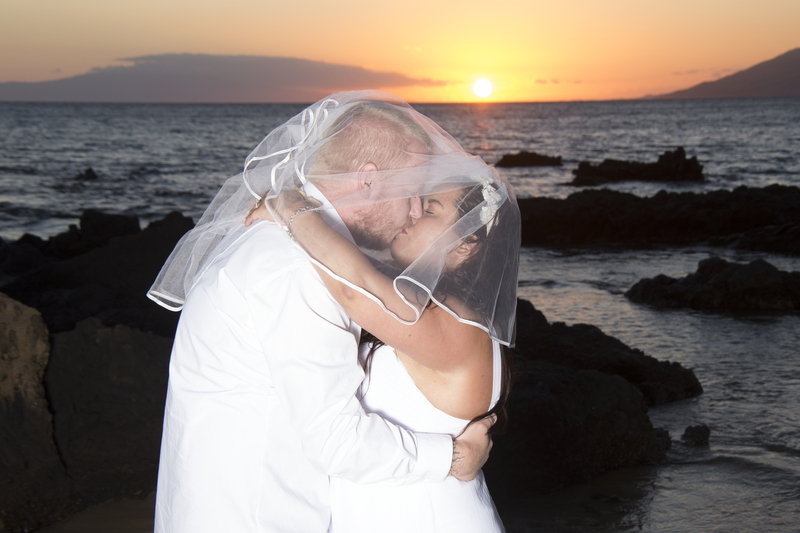 Michael and Anna greatly enjoyed their wedding, as evidenced by the lovely photos taken by Cathy Simone of Maui Imprints photography. Anna and Michael went home to start a new life, as husband and wife, but I am sure they will return to Maui, to Aloha Beach to relive the romance and beauty of their wedding. Validation: Sum of 6 + 10 ?